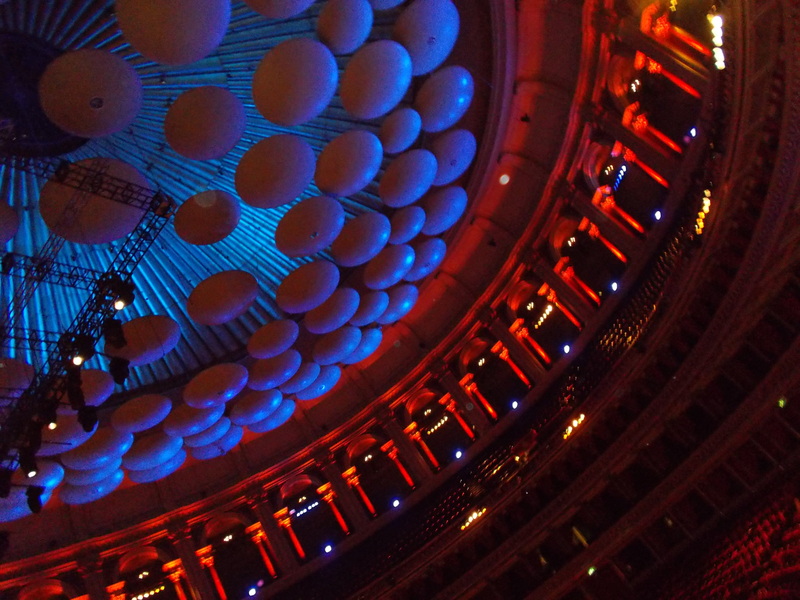 After months of intense rehearsal (and fun) we finally made it onto the stage at the Royal Albert Hall last night for the fabulous Festival Of Brass and Voices in aid of Cancer Research UK. To sing in such an iconic building was such a privilege and I had to pinch myself a couple of times to check it was really happening. Here we are at our hip and trendy Clayton Hotel in Chiswick, all set for the performance. 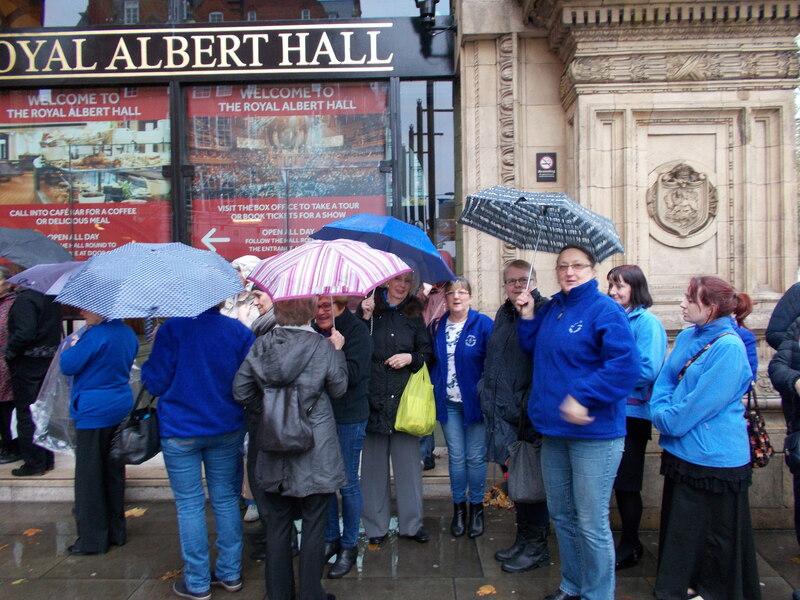 Earlier in the day we had queued in the rain to get into rehearsals. After what seemed like hours, we finally got in and ran through the whole programme until William Relton (in his signature red braces) was happy with us. Then it was performance time! The concert was amazing. 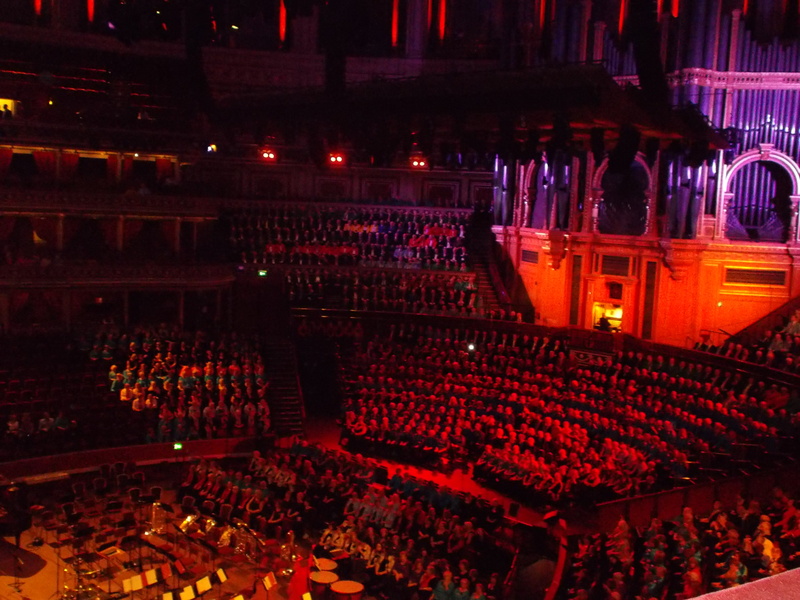 The hair on the back of my neck stood up as soon as we sang the first few notes of With A Voice of Singing and then continued to do so, as we enjoyed many wonderful pieces from the bands and choirs. I particularly loved the Grand March from Aida (the odd forgotten word notwithstanding) when I really felt the full impact of such a huge number of voices singing en masse. Socially, we had a great time getting to know one another and no doubt making friends for life. Would I do it all again? Ask me next week when I’ve recovered! 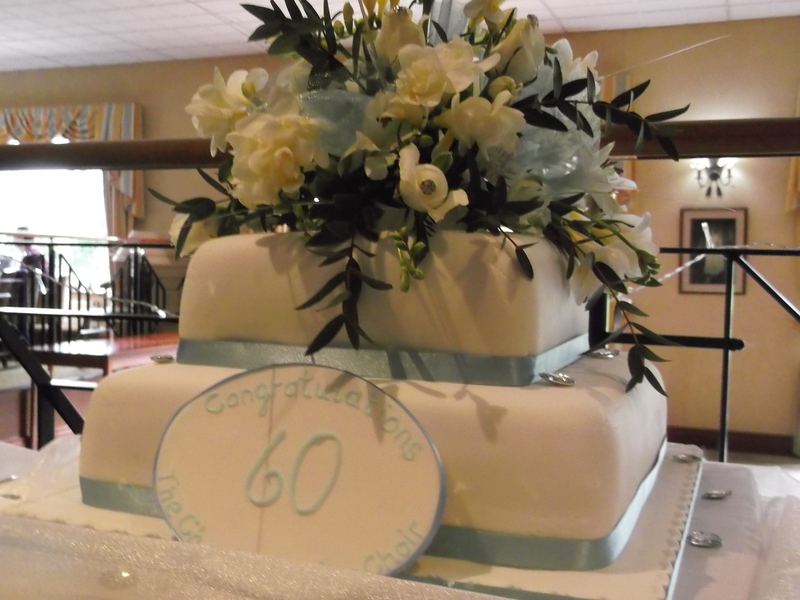 Last night we had a fabulous celebration at Chester Golf Club to celebrate sixty years of The Chester Ladies’ Choir. We donned our finery, including tiaras and diamonds and partied the night away. This fantastic cake was made by Alex Earle (pictured middle), one of our committee members, who incidentally also made the beautiful table decorations. What a talented lady! 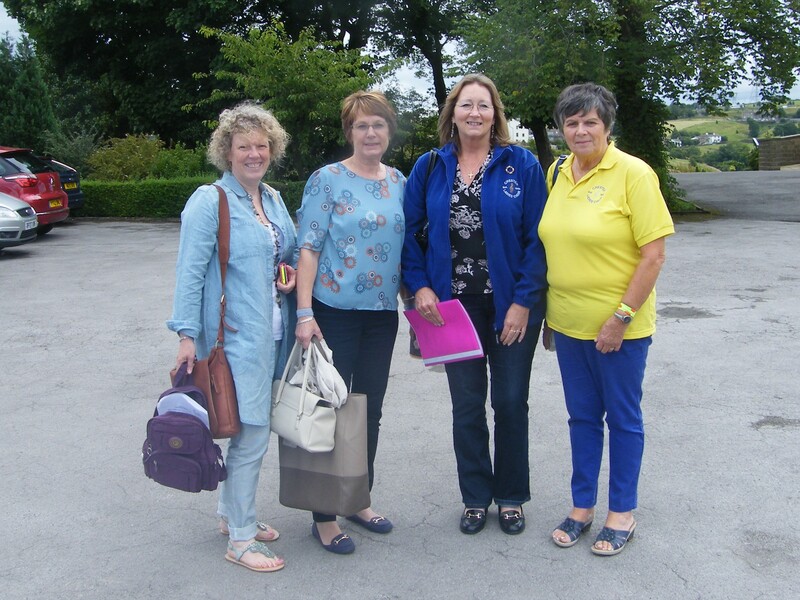 We had lots to reminisce about, some of our great achievements (winning the Rose Bowl at Biddulph) and some we’d rather forget (nice blouses ladies!). 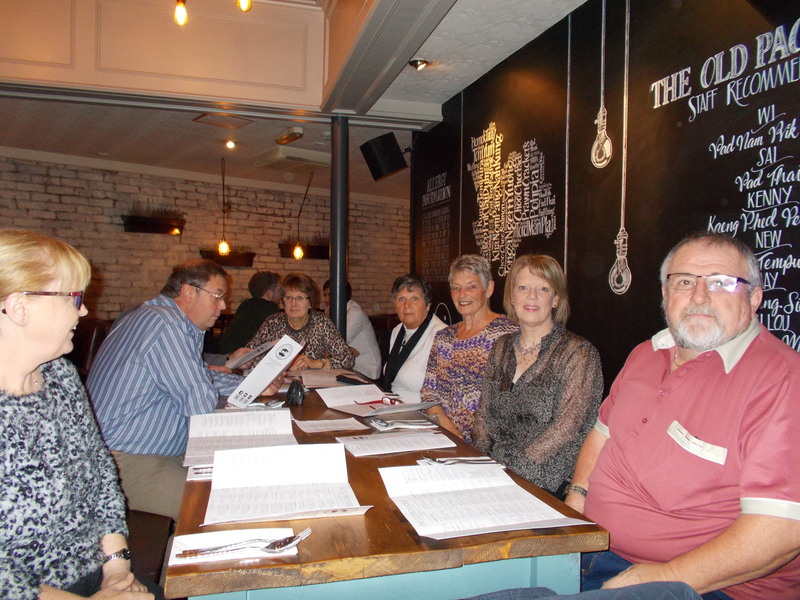 We had a toast from Mike Fisher and stories from our chairman Sandra Hughes, ex chairman Dorothy Smith, and our recently retired MD, Rodney T Jones. 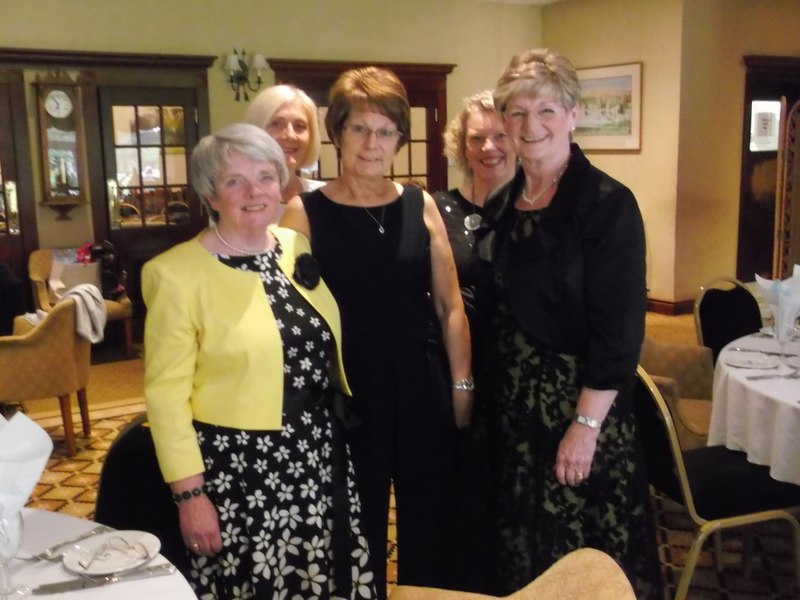 Our longest serving member Brenda Harper (pictured in the yellow jacket) was a guest of Her Majesty The Queen last week at a Buckingham Palace garden party to recognise her years of commitment to choral music. Lucky girl! There were games, raffle prizes galore and the dance floor was bouncing all night! 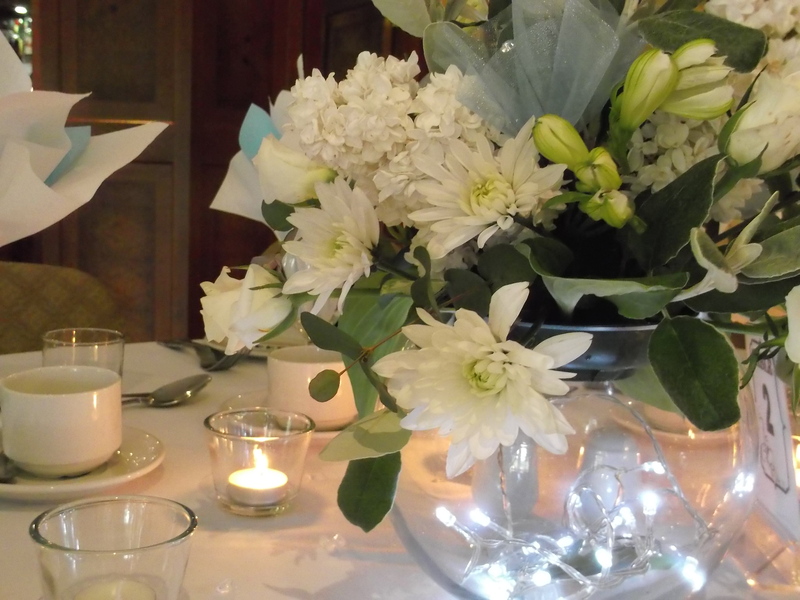 Each lady was given a beautifully wrapped ‘diamond’ gift to remember the occasion. Of course it was a chance for all the ladies to dress up. 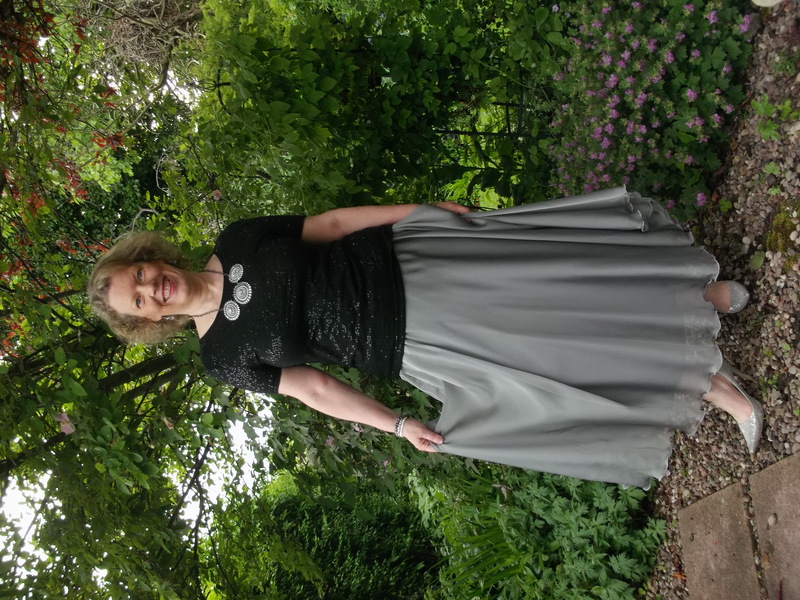 Here’s me having a pre-party twirl in the garden wearing my late Mum’s vintage skirt and sparkly shoes! Thanks to all the ladies who worked on making this a success. 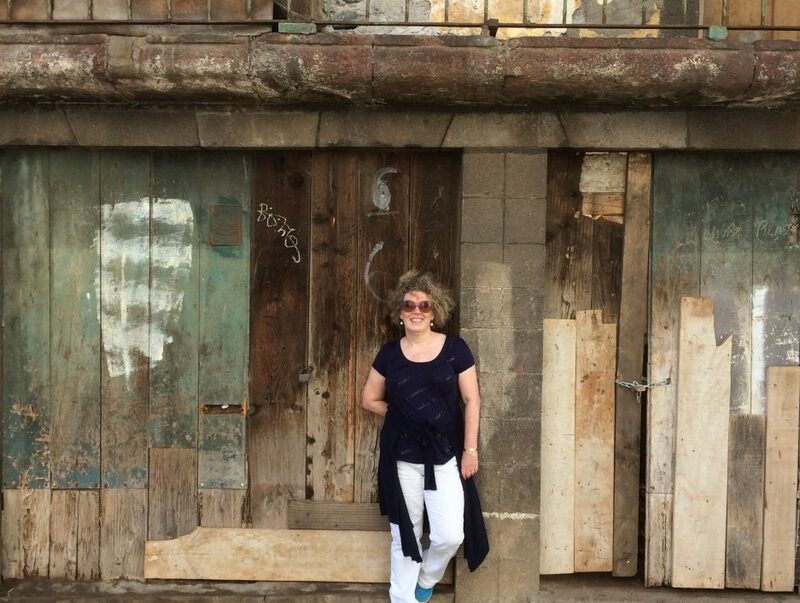 Here’s to the next sixty years! Well what an amazing night we had at The Chester Cathedral on Saturday! The Chester Ladies’ Choir were celebrating sixty years of song with this packed programme of Chester performers, including our guests The City Of Chester Male Voice Choir and The City Of Chester Brass Band. We opened with Karl Jenkins’ Adiemus which has a real joyous feel, a perfect way to start the celebration, followed by John Rutter’s very beautiful A Clare Benediction. The Blue Bird by Charles Villiers Stanford felt very atmospheric and took the audience by surprise as they were not sure it had actually ended! Our closing piece was Bizet’s The Gypsies Chorus which gave us a chance to let our hair down! Our first guests, the City Of Chester Brass Band performed two sets. My favourite piece was Ticket To Ride (loved the special effects). Next up was Welsh composer Robat Arwyn whom we had specially commissioned to write our anniversary piece ‘Diamonds That Shine In The Night’ and shine we did ladies didn’t we! In fact we positively sparkled! Robat performed two of his own compositions as well as accompanying both us and The City of Chester Male Voice Choir with their own special composition. I should mention at this point that our Musical Director Rodney T Jones directs both choirs, so he was a very busy man on Saturday! Alas, this was his last appearance with The Chester Ladies’ Choir as he is moving onto pastures new. But it’s been a blast Rod and we wish you well for the future. 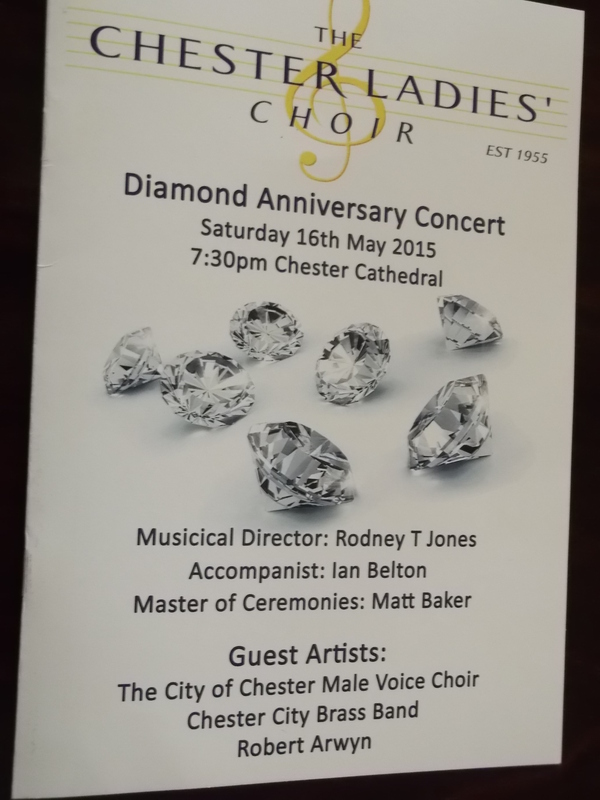 The City of Chester Male Voice Choir performed eight pieces, including the lovely Veni Jesu, arranged by Rod himself. Our second set included The Lord Is My Shepherd, sung to the theme tune of The Vicar Of Dibley, composed and arranged by Howard Goodall. This piece showcases the talent of our soprano soloist Nicky Pickering. This was followed by the haunting The Ships Of Arcady by Michael Head. We closed our set with the very fitting As Long As I Have Music, a long time favourite of the choir. The Master Of Ceremonies for this special evening was Chester’s own music man, Matt Baker who did a grand job! Our piano accompanist Ian Belton was also very busy as not only did he play for us, he sang with the Male Voice Choir too! Our final piece was a combined choral effort with the men, singing Hallelujah Chorus from Handel’s Messiah. I wonder how many times the cathedral walls have heard it sung! Well ladies it’s onwards and upwards! Here’s to the next sixty years.